Marcus Mariota to the Steelers? It’s Not Impossible, Folks. This ONLY, and I can’t stress ONLY enough here, happens if Ben Roethlisberger thinks he’s going to call it quits in two years. Otherwise, consider everything mentioned below absolutely impossible. The veteran QB had an incredibly successful career, but over the span of his 11-year tenure in the NFL he’s taken quite the beating. Just for example, Roethlisberger couldn’t play in yesterday’s Pro Bowl due to injury. Seemingly more often than not, Big Ben plays dinged up. 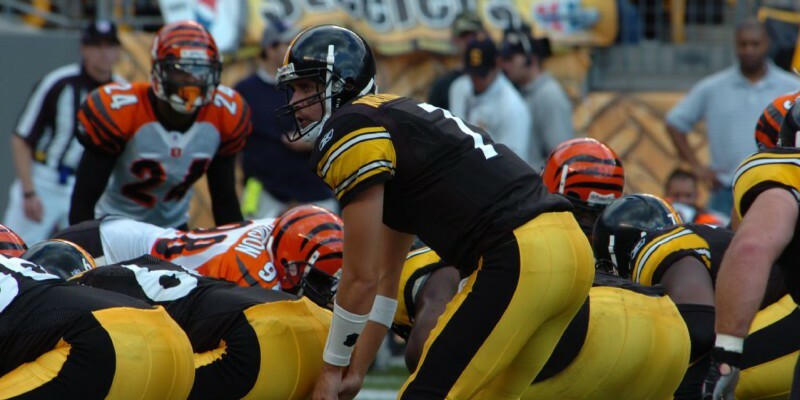 In 2008, Roethlisberger signed an eight-year contract with the Steelers, and he has remained adamant about retiring a Steeler. Although it is unlikely, if Roethlisberger felt he simply wasn’t physically capable of playing anymore then Marcus Mariota could be the answer to the Steelers’ future QB situation. Draft picks. Lots and lots of draft picks. The Steelers don’t have any assets, outside of maybe a few young linebackers, that Tampa Bay would be interested in (they have Le’Veon Bell and Antonio Brown who are obviously off limits). For this trade to go through, the Steelers would have to trade this year’s first and second-round picks, and most likely throw in their first-round picks through 2017 with another second-rounder in 2016 or 2017. For Tampa Bay, they get a shot at adding a ton of talent through future drafts with the added four picks, which is definitely worth passing up on Mariota or Jameis Winston this year since both have lots of doubt surrounding them. For the Steelers, who better to replace Big Ben in their system than Mariota? Pittsburgh runs a spread offense with a lot of motion where Roethlisberger is working mostly off of play action and from the gun. Sound familiar? If Mariota could prove he’s comfortable working under center, and operating a play action while under center, then he is an excellent fit for Pittsburgh. The Steelers’ offense runs a ton of screens, crossing routes, and double moves, something Mariota would be used to. The Steelers’ offense runs as Ben runs, and the reason it’s so successful is because Roethlisberger uses his size, speed, and weirdly effective elusiveness to extend plays. If Mariota is going to learn how to use his size and speed to maximize his skill, it’s hard to picture a better QB to learn under other than Roethlisberger. However, this is only a hypothetical, because if Big Ben decides he’s in good enough physical condition to continue playing past 2016 then the Steelers won’t even take a passing glance at Mariota. As mentioned above, Pittsburgh is a great offense for Mariota to thrive in. Bell would attract enough attention from defenses to set up play actions, and with Brown, Martavis Bryant, Heath Miller and Bell all as proven reliable pass catchers, Mariota would have a ton of weapons. Another weapon Pittsburgh could use once Mariota took over would be the speedster Dri Archer, who if used in a fly sweep package could help stretch opposing defenses. In short, Mariota would be set up to succeed in Pittsburgh. The day Big Ben retires, but until then Roethlisberger has the keys to the Pittsburgh car. If Roethlisberger thinks he will retire in 2016, that’s when Mariota would take over. If Roethlisberger signs an extension and decides he still wants to play then this entire situation is null and void.